Breakfast is my favorite meal. I think a lot of people share my affinity. I go crazy for the pancakes, the omelets, the pastries. Then there’s oatmeal, egg bake, frittata, huevos rancheros (my favorite! ), and finally, the classic: cereal and milk. I am an adult, esposa, and mama of three, and sometimes it’s a cup of granola that hits the spot in the AM. It could be that my body is hungry (we literally “break the fast” of nighttime) or maybe the food really is that much better in the morning. Whichever the reason, I heart breakfast all the way. 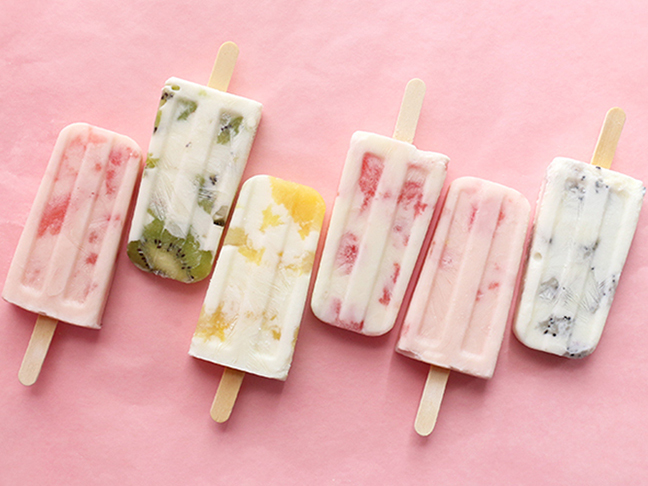 Recently, I came across a whole new way to start the day: breakfast paletas/breakfast popsicles. I know, right? These frozen foods can be healthy and filled with quality food items—frutas! chia seeds! yogurt!—which will start your day off right. And did you notice? They are beautiful. They are frozen, edible art, in my opinion. 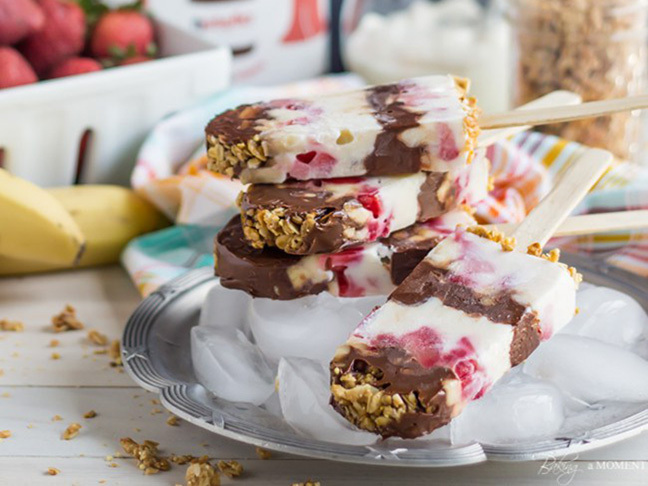 So come along and check out these delicious recipes for breakfast paletas that are healthy enough to kick your day off with. I’m not sure I could actually eat these gorgeous things. My Instagram feed would be filled with all their beautiful, peek-a-boo colorful angles. But then I would get hungry and I’d have to eat them. Lucky me. My mom used to make up fruit smoothies every once in a while, so I have a soft spot in my heart for them. 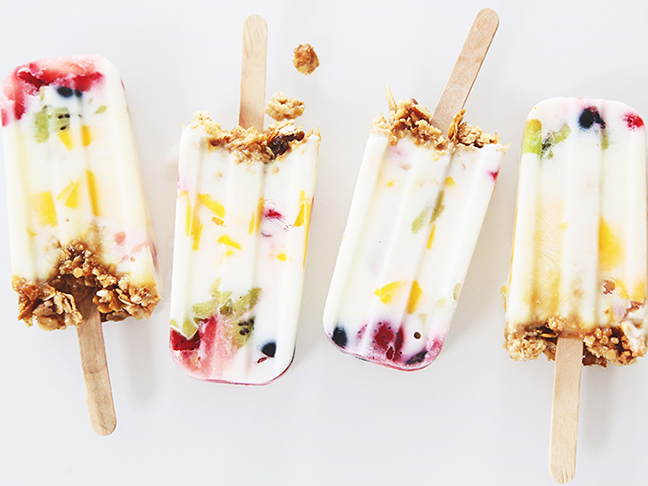 I love the chunks of fruit in these bars. They’re yummy and beautiful. Granola (with blueberries) in this form would definitely up my school drop-off “cred.” I would look cool despite messy hair and pajama pants. Plus, you know, I’d be eating well, so it’s winning all around. I will eat just about anything if Nutella is involved. Check out the layers on this frozen breakfast parfait. Might have to eat two of these. I love strawberries. I love rhubarb. I love strawberries and rhubarb together. 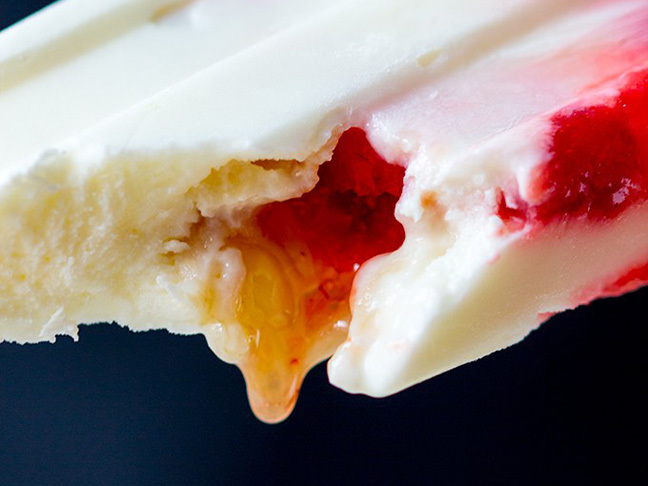 Layer with coconut milk. Sublime. 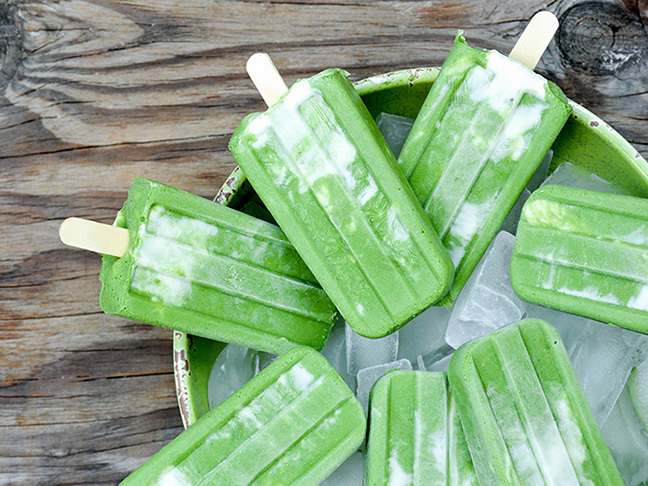 I love the look of these popsicles the best. 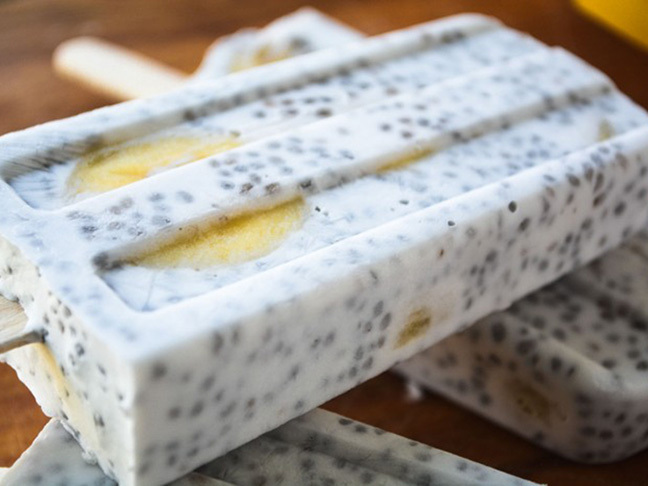 The chia seeds, which are great for you, make the pops so pretty and unique. First, the color green is amazing. Second, I love this form of the green smoothie. They can be made up beforehand, so on really hectic mornings, there is no blender to wrangle. And they are delicious and good for you and all that jazz. Yes, please. 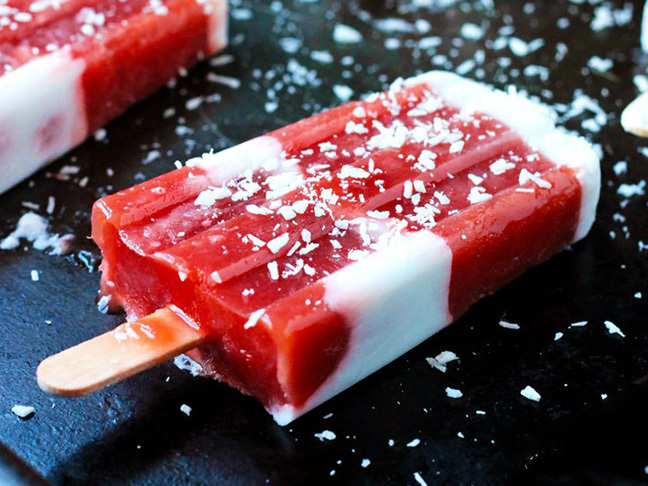 These popsicles are gorgeous and are filled with honey. Wow! I love the step-by-step images of the process. Making yummy things is fun and beautiful. Peanut butter and banana. 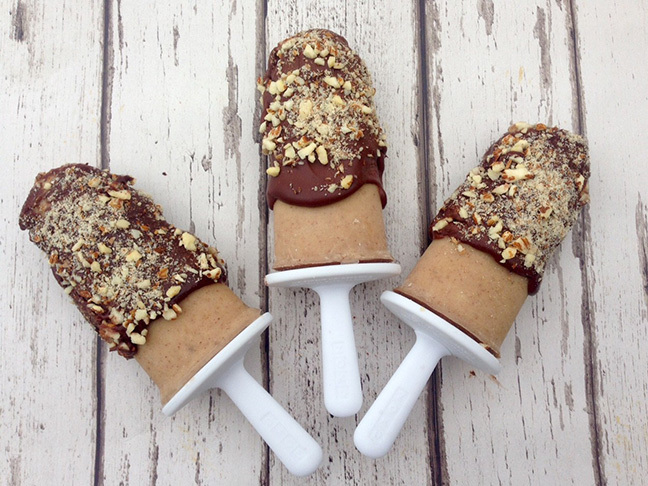 Banana and peanut butter. It’s a match made in heaven and the perfect way to start the day. Mondays shmondays. 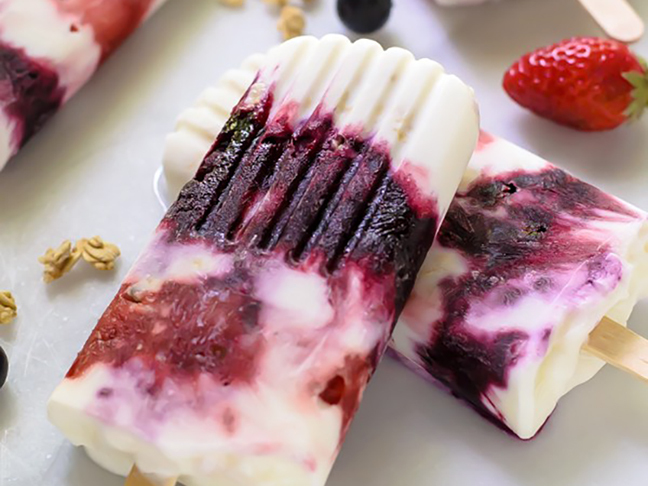 Like smoothies, popsicle blends are the perfect place to hide foods that are really good for you but might not be your favorite. 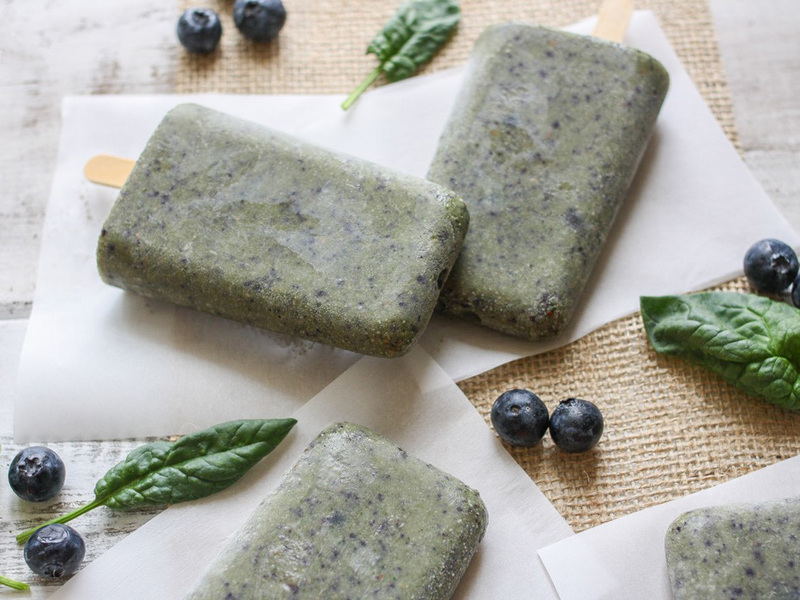 These pops include the yumminess of blueberries, mango, and banana while also boasting the goodness of kale or spinach, hemp seeds, and chia seeds. Get your health on! 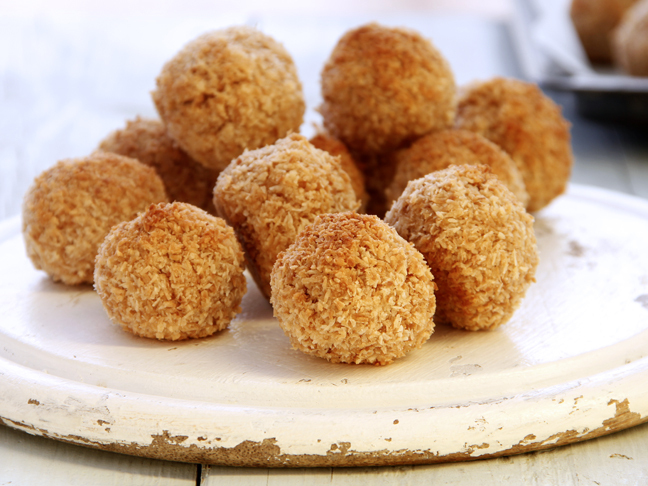 If you like all different kinds of fruit for breakfast, this recipe is for you. From kiwi to dragon fruit to pineapple to strawberries and watermelon, all your faves are included. 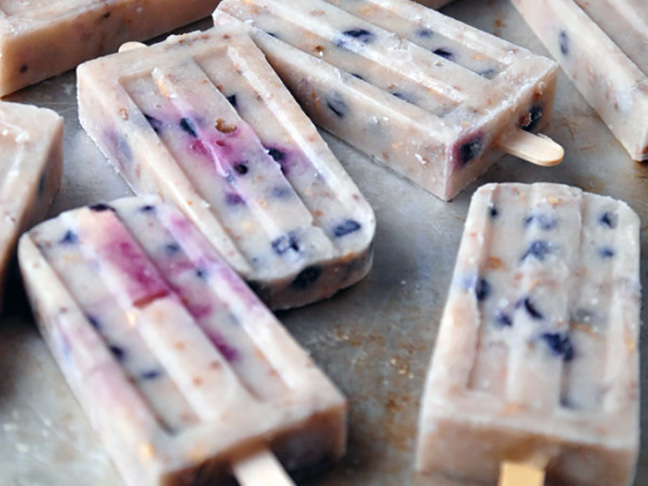 Together, these pops have a beachy, island vibe. I would definitely jump on that.